Do you think your children’s behaviour in the dining hall isn’t as good as it is in the classroom? Has it become a corridor to play, where most of them eat as quickly as possible so they can spend more time outside? Does this lead to lost learning minutes in afternoon lessons because teachers are forced to discuss unresolved lunchtime incidents? 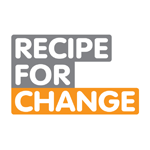 For the last ten years Recipe for Change has been helping schools improve behaviour by creating restaurant style lunchtimes that motivate children to eat better, eat together and engage in good conversation. This evidence based approach has improved readiness to learning, reduced lunchtime incidents and given children the time and space to learn how to socialise properly. Here are a few top tips on how to improve your school canteen and ensure your behaviour policy is consistently applied and implemented at lunchtime. Whenever I speak to school councillors they almost always say they want to sit next to their friends at lunchtime and feel stressed and uncomfortable if they can’t. This often leads to children wandering around the dining hall trying to find their friends. And when they do find a friend and someone else is sitting next to them they get even more upset. This increases congestion and noise and results in children sitting with people they don’t want to sit with. Like the classroom, a clear seating plan really helps reduce noise levels and creates a more social environment. This can be as simple as class or year group tables so children know they can sit anywhere on their designed year group or class tables. However, for schools which have behaviour issues and for those with high numbers of SEN children who thrive on routine, designated friendship group tables works extremely well. Seating for example three children from one class who have agreed to sit together with three from another on the same table for perhaps a term has a number of important advantages. Firstly, everyone knows where they will be sitting and who they will be sitting with every day. Secondly, Midday Supervisors, just like teachers, know where everyone is sitting and can quickly get to know who needs support and who needs careful monitoring. Thirdly, because children sit on the same table in the same place it’s easy for Midday Supervisors to set up a reward programme for good behaviour. Finally, mixing year group gives older children the chance to buddy and support younger children and to sit with siblings. The dining hall is a multifunctional space and kitchen staff shift hours are very restricted. There is pressure therefore from both the school and the caterers to get children served as quickly as possible and to clear all dining furniture away as quickly as possible ready for the afternoon curriculum. As a result, a continuous service operates where children arrive at the hall when there is space and queue up for their dinner. Once everyone is served the caterers are keen to start clearing away dining furniture whilst many children are still eating. This is a system designed for adults, not children and creates a food on the go culture. It’s stressful and unsettling which is why, not surprisingly, children start to behave inappropriately. If, however, children are clear about exactly when they are going to eat, who they are going to eat with and for how long, they are much more likely to behave better. Having a timetable of sittings helps reassure children that they do have enough time to eat. So how long should these sittings be and how does this work for schools with very limited dining room space? Provided the speed of service in the kitchen is quick and efficient 20 minutes is the minimum time a large group of junior children can get served, eat and clear away. Reception children, particularly when they first start in September, need at least 25 minutes. For junior children you could run a three sitting service in one hour (3 x 20 minute sittings) However, it’s advisable so children don’t feel rushed, to have a 5 minute transition between sittings which increases lunchtime to one hour and 10 minutes. This will increase to one hour and 15 minutes when you include both infants and juniors. For schools with a very small dining space or a very large number of children on roll different year groups will need to start and finish morning and afternoon lessons at different times. That means lunchtime might run for over one and half hours but each year group only gets one hour because of the different start and finish times. But what about the caterers? Won’t this increase their hours? In most cases it’s mainly about a change in working patterns rather than increasing shift time. Moving from a continuous service to sittings means food will have to be batch cooked so it’s fresh and hot for each sitting. This is something caterers are very proficient in doing and shouldn’t cause any problems. It’s important to make provision for slow eaters. If children feel rushed they are more likely to not eat as much as they would like and/or opt for a packed lunch so they don’t have to queue up for a school dinner. Giving some slow eaters the opportunity to stay in the hall after their sitting has finished will avoid them going back into class hungry and make sure school meal uptake doesn’t decline. For infants, who are now offered free school meals, the government target is 87%. To provide space for slow eaters try and make the first sitting much larger than the second and third. If, for example, you can seat three classes in the first sitting followed by two classes in the second and third, then up to one class can remain in the hall during the second and third sittings. In one school I visited recently there were 6 children all eating alone on 6 different tables. When I asked a few of them how they felt they all, unsurprisingly, said “a bit sad”. This creates a food on the go culture and is likely to mean children go back into class not ready for learning. Being asked to wait for friends at lunchtime just as you would in a restaurant will encourage children to socialise. But if you are a much faster eater than your friend, is it fair to wait for ages and ages? It’s important to compromise here and agree a minimum eating time before leaving. 15 minutes, if it’s a 20 minute sitting, is a reasonable length of time to wait. This avoids lots of slower eaters being left behind. In many schools I visit dining tables are laid out end to end in long columns. Four or sometimes five junior children sit on benches designed for three and there is not enough space between tables to get in and out. Even if children would like a school meal it isn’t an attractive option because in many schools they have to queue up and get ticked off a register, then queue again to get their dinner. And for some of the infants the servery is too high so they can’t see the food or hear what the school cooks are saying to them. That’s why lots of children opt for a packed lunch and why school meal uptake is lower than it should be. Here are a few suggestions that will help improve the dining room environment and encourage better behaviour. i) Coloured bands – Issue children with coloured bands for meals choice e.g. red for main meal and green for vegetarian. This speeds up service. School cooks don’t have to ask each child what meal choice they want nor do they need to tick them off a register. If 100 school meals are ordered then the school cook piles up 100 plates on their servery. ii) Mobile servery – If the kitchen servery is too high consider introducing a mobile servery into the dining room. This will make sure all children can easily see the food on offer and make it much easier to communicate with the kitchen staff. iii) Waste station – Make sure waste stations are sited close to the dining room exit and not close to the food. So many caterers place waste stations very close to the kitchen and therefore close to the food. Whilst this makes it easy for them it’s very unappetising for the children. iv)Table layout – Try and increase the number of sittings so you can reduce the number of tables. Avoid tables being placed together and site them individually. If there is wall space that can be used push tables up to the wall. School halls are usually full of PE equipment. Remove as much as possible to create more space between tables. If behaviour at lunchtime is a concern then it’s usually a small minority of challenging children that persistently misbehave. So how can it be improved? By giving these challenging children a chance to be lunchtime leaders. By trusting them to develop their own job specification. By getting them to communicate with the whole school. By focusing their energies on rewarding children for good behaviour. This is an approach I am currently piloting at a Kent school. It was clear from the very first meeting with the nominated lunchtime leaders, a group of Y5’s, that they felt valued and important. They engaged extremely well, came up with good and constructive ideas and are excited about their new role. Behaviour policies are often inconsistently applied at lunchtime. Children become confused and upset as soon as they think one Midday Supervisor is being too lenient and another is too strict. This is often due to Midday Supervisors not being clear themselves about what the consequences should be for bad behaviour and/or they just aren’t assertive enough. Getting lunchtime leaders to write their own lunchtime charter which includes rules/guidelines that they are prepared to follow and they feel are acceptable will help adults manage any bad behaviour. This often includes no play fighting and lining up quietly. If therefore children don’t line up quietly and play fight they should be more willing to accept the consequences. And the consequences need to be very clearly and prominently communicated. For Midday Supervisors that means carrying a series of laminated cards on their lanyards with the behaviour and consequences. For children a poster of the lunchtime charter that they have created and which is prominently displayed in the hall will act as a good reminder. Lunchtime is an integral part of the academic day and it offers real learning opportunities. One evidence based example of this is the introduction of Times Table plates with memorable and engaging animal characters printed on them to represent each of the 12 times tables. In one Yorkshire school the Times Table plates has improved instant recall and reduced ReFood waste from 80 kg to 45 kg. So the children were learning more and eating more. Another key learning opportunity, particularly for infants, is teaching them how to use a knife and fork. Learning how to socialise whilst eating is a skill and using a knife and fork properly is something a lot children need help with. Some schools have introduced a knife and fork licence, just like a pen licence. I am not suggesting that lunchtime becomes another class. What I am suggesting is classroom learning outcomes can be reinforced and embedded as part of children’s social time. In Personal, Social and Health Education (PSHE) lessons children will learn about friendships, emotions and communication. Whilst these lessons are good opportunities for reflecting on and thinking about social relationships and behaviour, they are not, and can never be, replacements for the real thing. Surely lunchtime is an ideal opportunity to put what you have learnt into practice and make this part of the lesson plan. Graduate, postgraduate and non-graduate employment rates and earnings for England. Support, guidance and marketing templates to help you attract and recruit trainee teachers to your ITT programme. Consider the different needs of your target audience when planning your marketing. A timeline and checklist of suggested marketing activities to promote your initial teacher training (ITT) programme. Things to do and consider when planning and running events for potential applicants.